Reassurance shield after the 281 split was we enter Ramsey County. Turn left for 71st Ave/CR 2 up to Penn. A few miles later, we’ll enter Devil’s Lake. 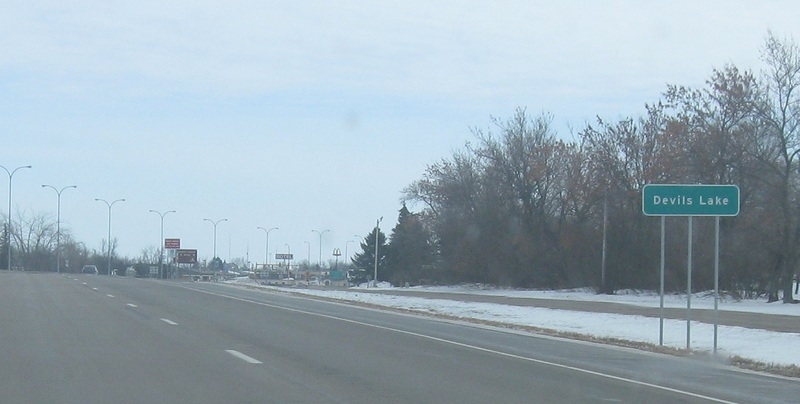 In the southwest corner of town, US-2 will intersect North Dakota 19. Turn left for 19 east and right for 19 west. Stay straight for 2 east. 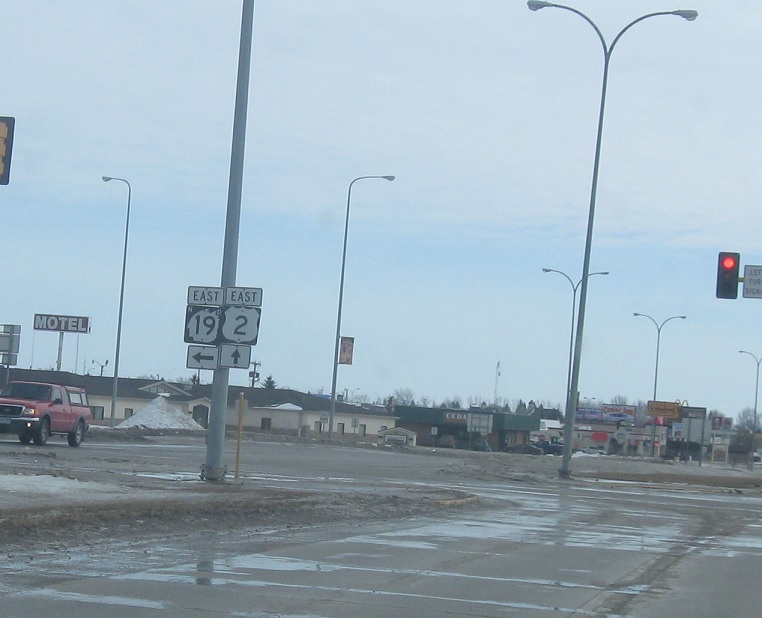 Follow 19 east to downtown Devil’s Lake. 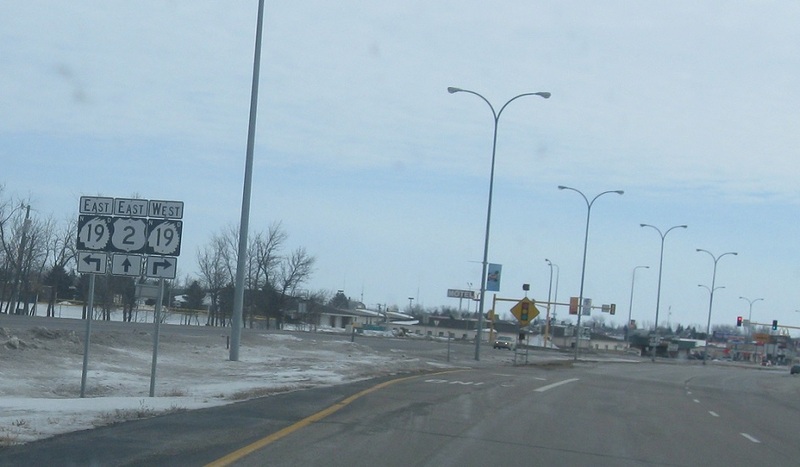 Stay on 2 for Lakota, and take 19 west to Minnewaukan. Turn left for 19 east. Stay straight for US-2. 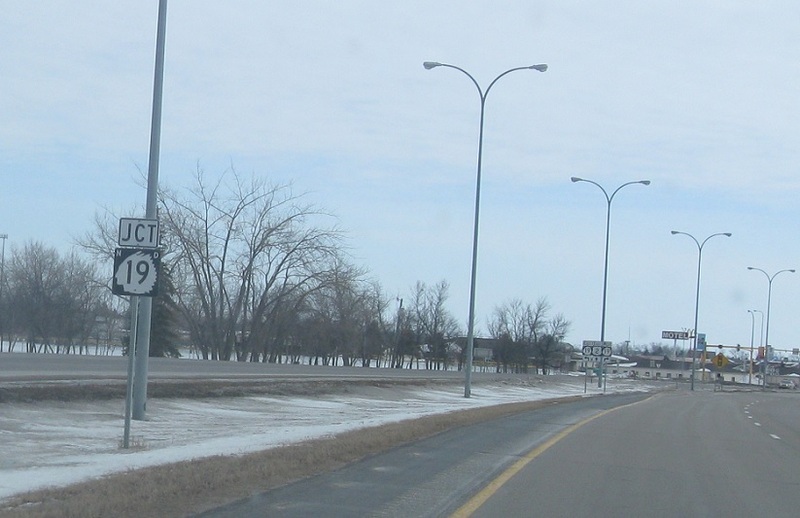 Turn right for 19 west.